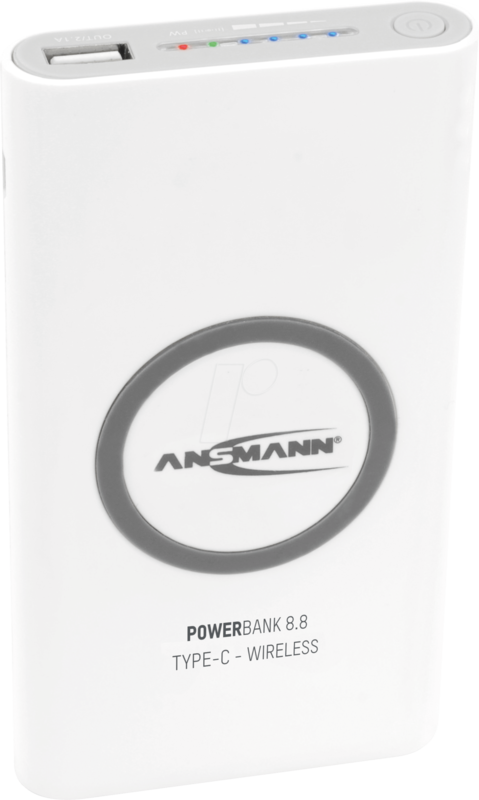 This problem is now a thing of the past, as the practical and elegantly styled Powerbank from ANSMANN is light, powerful and always close at hand. Thanks to the compact construction, the light energy store can fit in the pocket of any jacket, trousers or handbag. 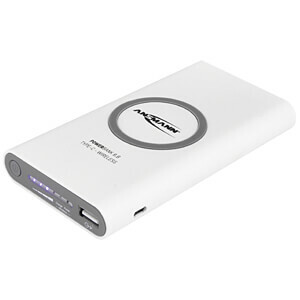 With the USB to micro-USB charge cable, the product is the ideal companion when out and about. 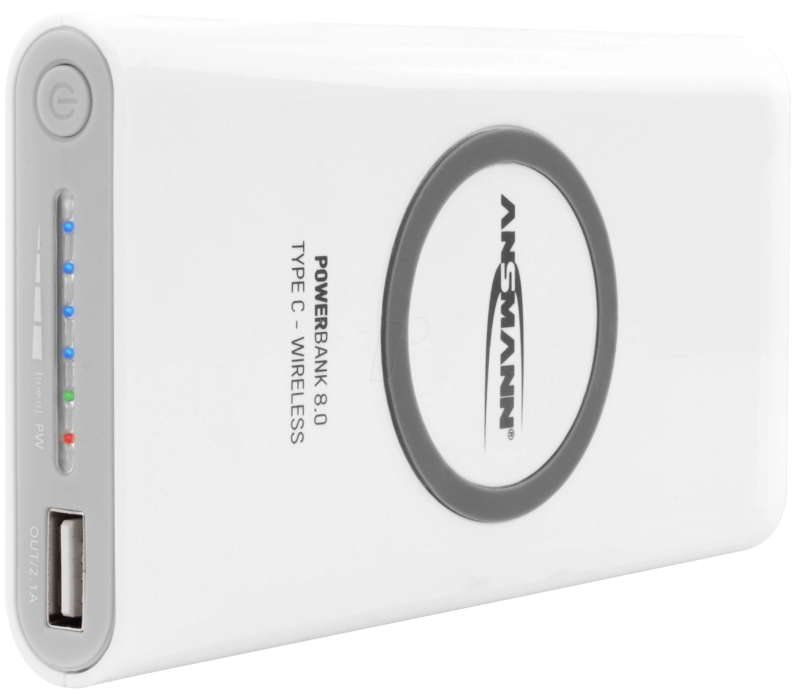 The ANSMANN Powerbank has a USB and USB Type C output. 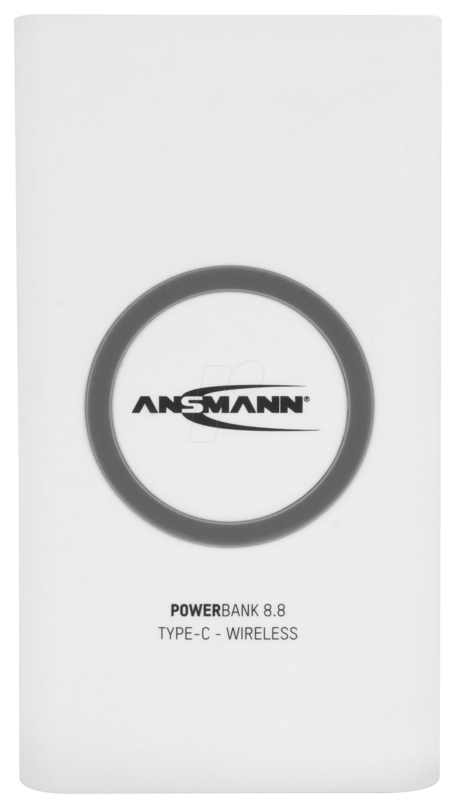 This can supply your smartphone or tablet with energy via a suitable charge cable. 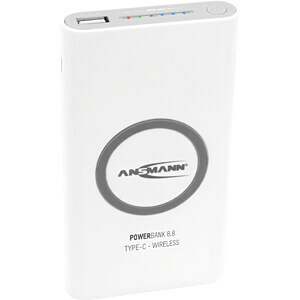 In addition, the Powerbank also has a wireless output. This is compatible with the Qi standard. 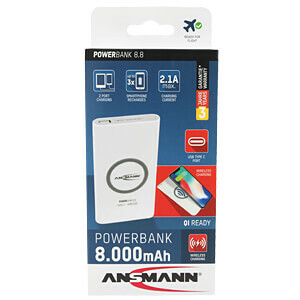 Suitable Qi-compatible end devices can be conveniently charged simply by placing them on the Powerbank. 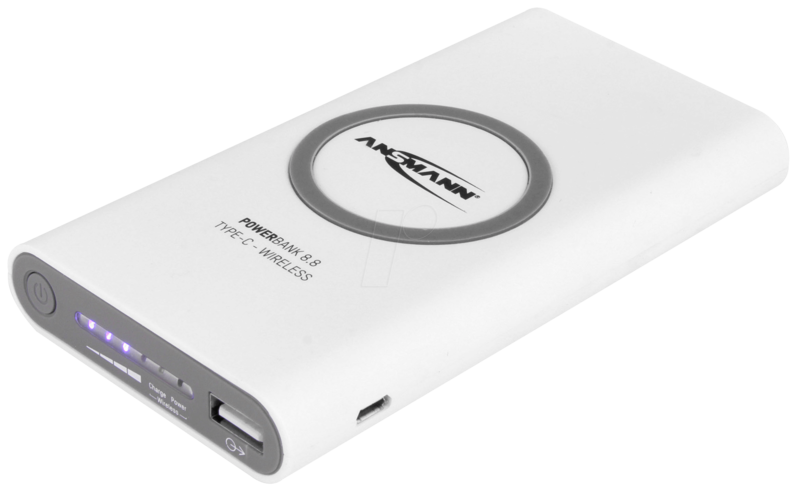 The Powerbank can be recharged via the Micro-USB port or the Type C port with a standard USB charger plugged into the mains. 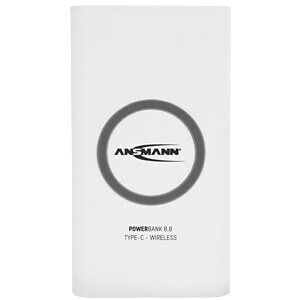 There is a wireless input on the underside of the Powerbank as a further charging option. 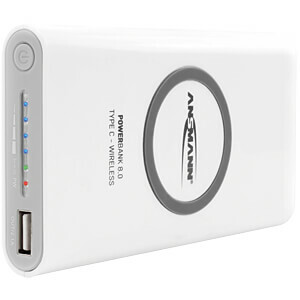 The Powerbank can be conveniently recharged with a Qi-compatible charger. 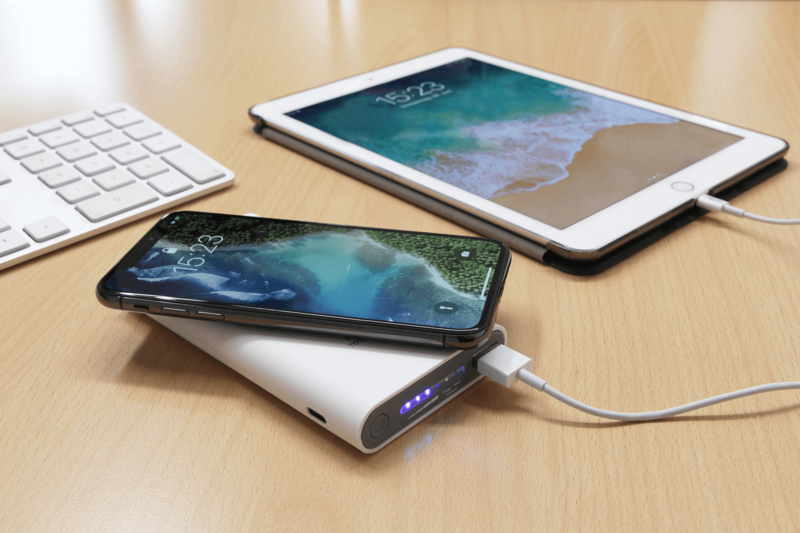 With a charge capacity of 8000 mAh and an output power of up to 2.100 mA (at 5V DC), the compact powerpack is able to charge mobile devices several times. 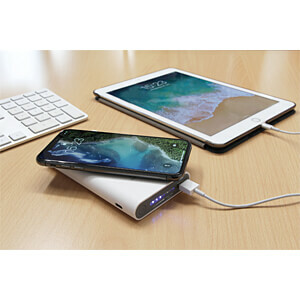 The high-quality external battery pack with sturdy housing is compatible with all standard USB devices such as smartphones, tablets, mobile phones, MP3 players, navigation units and many other devices that can be charged via USB or induction charging. The charge status indication can be activated with the push of a button enabling the current capacity to be reliably displayed in 25% steps via four integrated LEDs. 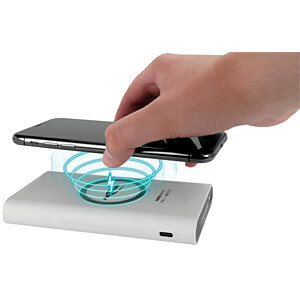 In addition, two further LEDs indicate the status of the wireless charging. A red LED indicates that this technology is available. 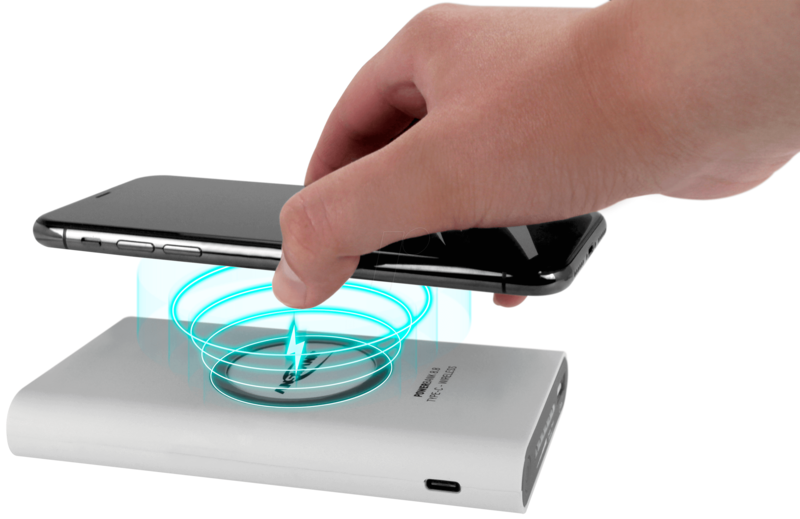 A green LED indicates whether the wireless charging is active.